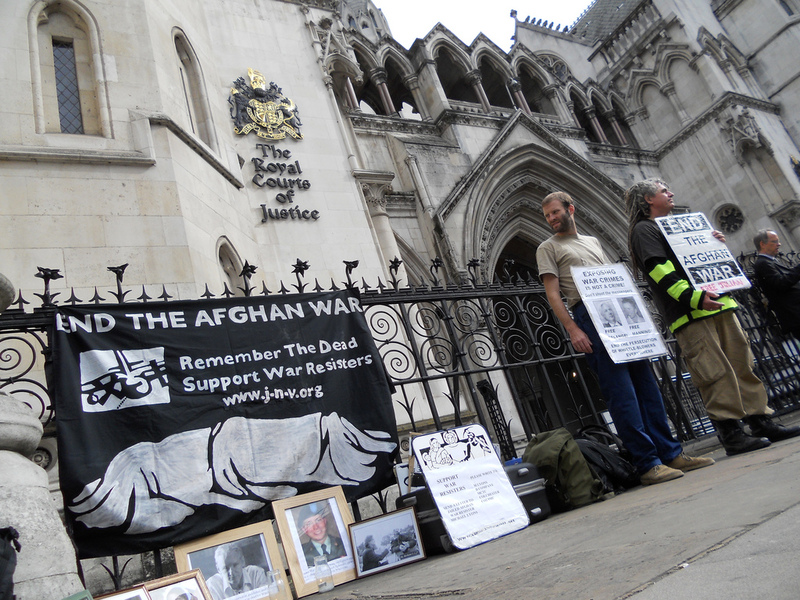 On Tuesday July 13 outside the High Court we set up banners, a shrine to the war dead of Iraq & Afghanistan, our dead Brian Haw & Simon Levin, our prisoners Bradley Manning & Julian Assange. Peter Tatchell, Ben Griffin and I spoke from the steps and did some media outreach, we spoke to passers by, we shared food and drink, we kept our spirits up, we read the live twitter feeds from the courts, we played music, we sang, we signed a solidarity card to Michael Lyons, we realised human community on the sidewalk outside the High Court. 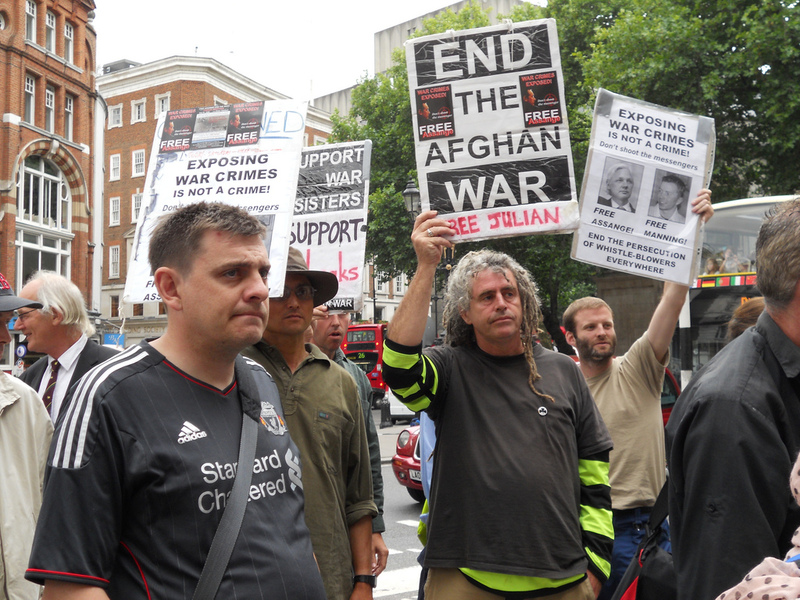 We demanded an end to their wars and persecution of war resisters. 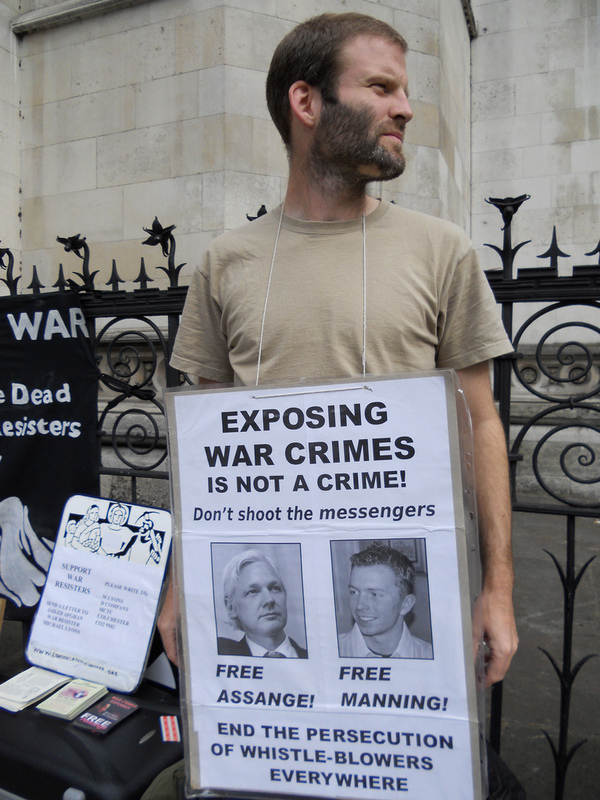 Read the full report on indymedia. 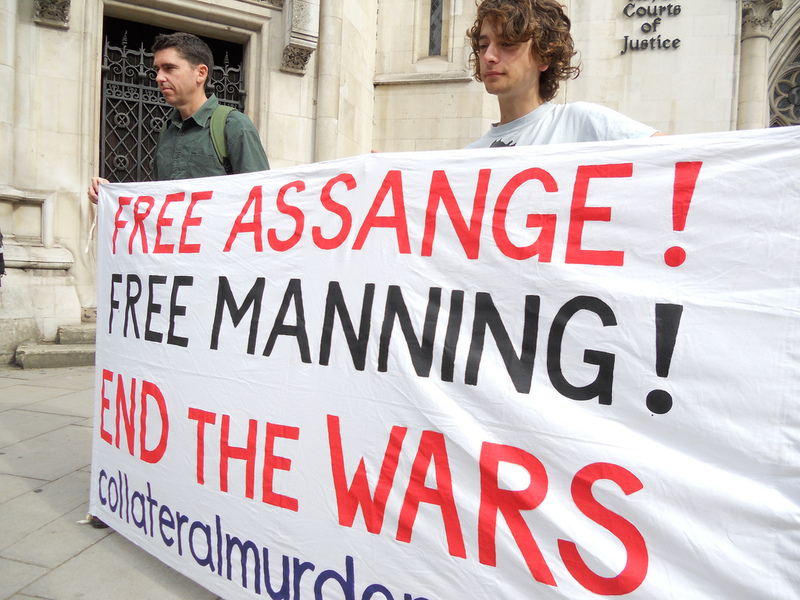 These photos from Italian Friends of Bradley Manning. Click the link for more. 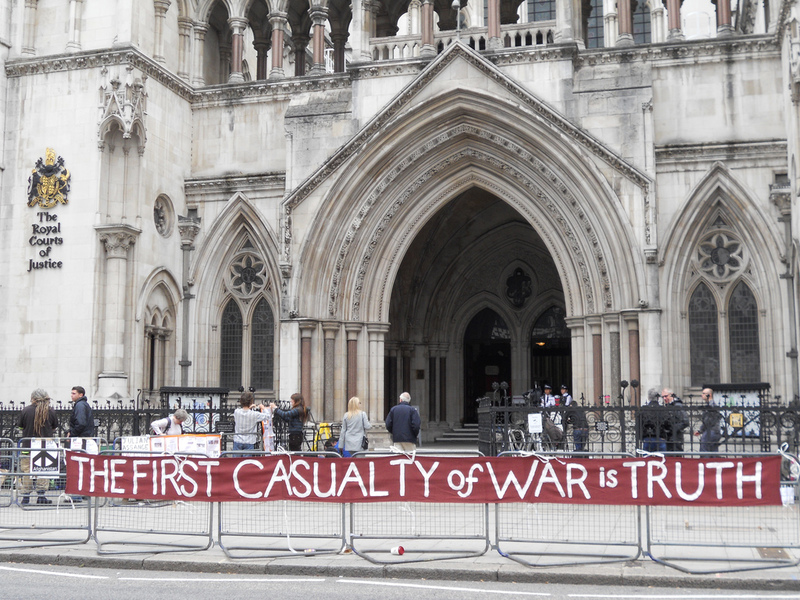 This entry was posted in Assange, Manning, Reports and tagged anti-war, Bradley Manning, extradition, High Court, Julian Assange, WikiLeaks. Bookmark the permalink.